Extremely professional and took very good care of my wife and I. People at the dealership were very helpful and knowledgeable. I like to give special thanks to Michelle Anderson, Sunny Kumar and Kathrine. They gave us all the answers we were asking. The warranty information provided made our decision to buy extended warranty very easy. Kathrine is truly knowledgeable about all the features and electronic system in the car. excellent all around. Michelle the sales consultant went every length to be sure I felt comfortable and secure in my long-distance purchase. The entire experience from 1700 mi away was quick and seamless. Thank you for a fine by experience. I await the delivery of my 2016 Mazda Miata. 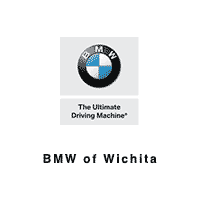 The Sales Staff at Walser BMW were great. The buying experience was second to none. Thank you very much for making my first BMW purchase an enjoyable one.